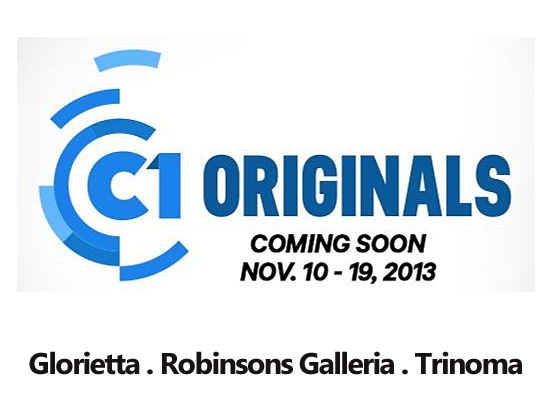 Five films in the Cinema One Plus (P2 million budget) category, and ten films in the Cinema One Currents (P1 million budget) category are competing in the much-awaited Cinema One Originals Film Festival 2013. Stories of this year's picks deal with a myriad of topics set in diverse places from dramas to romantic comedies to action, from Chinatown, Quiapo, Corregidor, a call center office, Nueva Vizcaya, Camotes Islands, to an upscale gated subdivision. The festival will be held on November 10-19 in three cinemas: Glorietta, Robinsons Galleria, and Trinoma. Action. One man's transformation from a naive, innocent man to a ruthless father, friend and eventually, a drug dealer. Set in Bacolod. Negros. Mystery Drama. On a storm-ravaged island that has seen its share of tragedy, a person who has been assumed dead reappears and ignites a frenzy of reactions, ranging from ecstatic religious fervor to fear. Drama. Helen lives with her grandmother in an idyllic island down south, at 25, she’s about to graduate from high school and start a new life. Things take a drastic turn when a journalist publishes an article about "China Doll." Family Drama Comedy. An OFW is suddenly jobless in Japan. A friend introduces him to a Sentai director who convinces him to be a double for Blue Force, a super hero character in an upcoming Japanese super hero show. Starring: RK Bagatsing, Arnold Reyes and Adrian Sebastian. Psychological Drama. A family from the city returns to the province in search of a simpler life, they find more problems and setbacks instead. Will be shot in Nueva Vizcaya. Drama. 40 days before the annual Good Friday procession of the miraculous 400-year-old Black Nazarene statue at the Quiapo church in Manila, an early morning mass is disrupted when a candle vendor finds a blood-soaked box with a dead fetus inside. Experimental/Science Fiction. A spacecraft lands through the geographies of the fictional film, ISLANDS and the reality in which it is being filmed as a movie. A four-part narrative of three related occurrences caused by tragic accident of a Filipino-Spanish priest. Comedy. An aching tale of friendship, youth, and a journey towards self-discovery in this small-town coming of age story. Intoy, takes us back to show us how those teenage days felt like. To be shot in Camotes Island, Cebu. Genre film/comedy. A lower middle-class family moves in to an upper middle-class village where a mad scientist is keeping a snake-man. Drama. The Lumads and Moros of Mindanao have a traditional belief that when a person dies his soul goes back to his homeland.